Fantasy Type Draft FantasyUnique Players Per Team H2H [Head-2-Head]: Accumulate table points by playing H2H rounds of 2-4 matches. TPB [Traditional Point Based]: Accumulate fantasy points at the end of each day match. Salary CapTeam Under Salary Restriction H2H [Head-2-Head]: Accumulate table points by playing H2H rounds of 2-4 matches. PredictionWin/Loss, Margin & Targets Predict Matches: Accumulate points for corrent prediction & margin of prediction. Predict Player's Performance: Choose target performance and predict matching players. Unique Features Customize Rule Modify the league rules as per your requirement and play with your friends. Player's Research Use this feature to know about player's current form and get latest news and updates. Score Projections Get projected scores of the players even before the tournament starts. Ask The Experts "Ask The Expert" to get answers for any question about any thing related to fantasy. Platform Website Supported on all the major web browers like Chrome, IE, Firefox etc. 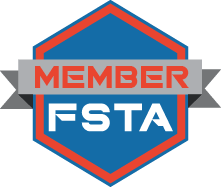 Mobile App Android & IOS App to help manage your fantasy team on the go. Length Daily Play daily leagues to experience all the fantasy actions of a particular day. Round/ Weekly Round consists of some group of matches which you can play for a span of 4 to 7 days. Tournament Play a season long or a month long tournament for a richer fantasy experience. I have played many fantasy Cricket, Football games and very passionate about these type of game. In my experience CRICBATTLE is unique and a brilliant thinking of developers. I give them 5/5 star. Gud work buddies. CRICBATTLE's future is very very bright. Halla Bol !!!! Cricbattle really enjoyable fantasy contest . As a cricket Fan I love this cricket contest so from my busy life I spend some time for it . Last few years cricket attract me more, it make a crazy supporter of my team in stadium and home :) Cricbattle become part of my craziness . I wish cricbattle Team success . CB is a great site because it gives users real time experience. I have received all my prizes till date and hence it's a trustable site too. I will continue to play at CricBattle and hoping to meet many new users here. Born in a country like India, everyone dreams of playing for this country. Then comes a stage when people choose between sports and education and alot of people, whether its pressure from family or an aim of becoming engineer/doctor etc etc, choose education and leave our cricket dreams behind but inside everyone theres always a Cricket Selector. 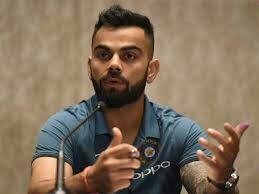 No matter who ever is playing we all give our opinions on playing xi and management, we all realise that no one listens to our opinions but we all love doing that coz we all love our Cricket. CRICBATTLE (big letters coz it has come up as something big in our lives) has given us all that one opportunity to unleash our love and talent towards our favourite game where we all can show the world who has better cricketing knowledge and Team selection skills. Most unique and valuable thing about Cricbattle is that If I have a player my opponent cannot have that same guy and thats so much true to reality, unlike all other fantasy cricket sites. I have playing this amazing game from last 3-4 months and I have never been disappointed. Nothing is perfect in this world and the amazing thing about this site is that the administrator is always willing and keen to listen to our feedback and always does whatever they can to make the users happy. Prize money always comes as second priority to me. 1st thing is the addiction to this site coz of the game not for the money. I win money or not I will always keep playing here and I can see CB becoming really big in near future. Way To Go Rakesh !!!! There are so many fantasy websites over the internet, but these websites never improves their quality except just making new advertisement and updating the line ups. So,like everyone I felt bored when the same thing got repeated again and again. Just at that time I came to know about CB.The structure is so innovative. 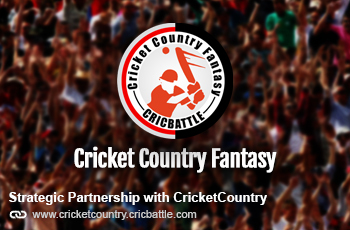 At first,I felt a little weird seeing the system but as it wasn't like other fantasy leagues-One is always there to help me.The unique part of this fantasy based website is that, it is developing after each tournament.So, my suggestion to all- Play fantasy cricket here in CB and enjoy each moment. I used to play fantasy cricket on various websites but always felt that at certain point, the contest gets boring simply because of a lot of similarities in the fantasy teams.By the time tournament reaches to the quarter finals or semi finals,over 80-90% teams look similar and so there is no fun playing with the teams having same players like your team.Cric battle is a unique real time experience where Fantasy meets Reality.Online Drafting plays a key role here and all teams will be different than others as one cricketer can play from only one team.Like the Cricbattle slogan says there is only one God and he plays for Mumbai Indians. I m playing fantasy cricket contest from Worldcup 2011, I have played few more local and international contests during this time & win few more too . Online draft, head to head format make cricbattle to me unique than others . It has nice graphic and everyday the cricbattle team trying to develop cricbattle with unique Ideas . 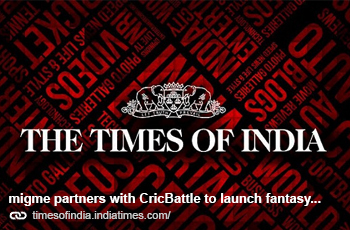 I wish cricbattle success and hope it will be one of the best fantacy cricket contest, which will be enjoyable and fair to every type of Users . I Still remember the first time playing on cric battle when one of my friends accidentally stepped on this site while checking for cricket fantasy sites.We all had played the traditional fantasy cricket for some time and all of us used to claim as Cricket pundits .This concept was mind boggling to start with and the idea of owning a team was just amazing.The site has come through a long way and the changes are being done at super sonic speed.I can always claim to be the first winner (prizes were started from Champions trophy 2013) and would like to keep doing the same.K.U.D.O.S to the Cricbattle team and wish them all the success in becoming a big wonder going ahead.